I have took up another couple of projects to bust through my stash. It have decided to start the Scraps of Yarn Challenges created by the lovely being over at Creative Crochet. I have started with the reversible cushion and have completed part 1 of the four parts to this particular pattern. 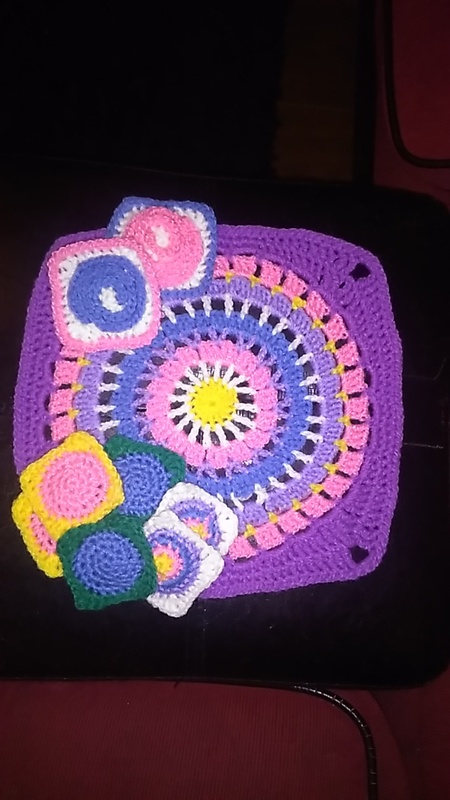 As its a stash buster, its multicoloured however I have pretty much match the colours with the shown pictures in the pattern except for the brighter purple around the edge of the largest square. Its all dk using a 4mm hook.